The Morgan Silver Dollar is arguably America’s most popular coin. They are a favorite among collectors and investors due to their fascinating background, gorgeous design, impressive weight, high silver content, and affordable price point. Few coins offer such a fantastic combination of historical, numismatic, and aesthetic appeal. There’s one more reason why Morgans are such beloved collectibles: the series contains a wide variety of dates. 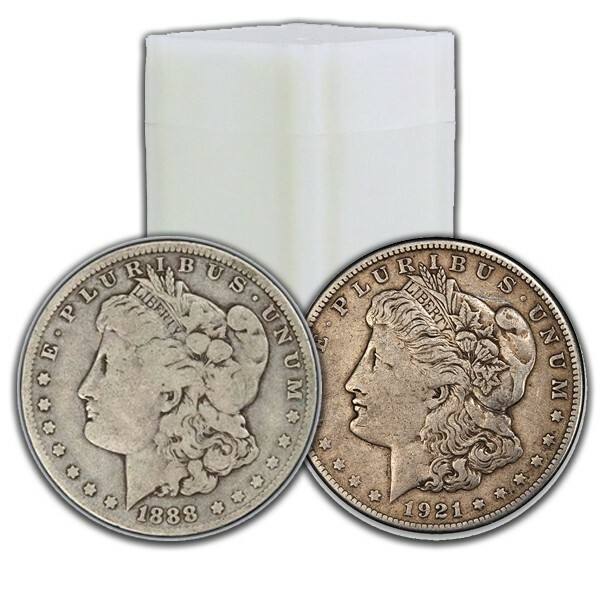 Morgan Silver Dollars were struck every year from 1878 through 1904, then for one final year in 1921. They were made in 21 different years at five different mints; which is highly unusual for any American coin. You will receive 20 - Morgan Silver Dollars in VG condition. Each coin in the set will have a different date/mintmark of our choice (Example: 1921 P, D, S & 1884 P, O, S). Coins come packaged in protective coin tubes. Instant Collection at a Great Price!